Does Troy Aikman really think that Imitrex is getting to the cause of his headaches? I was recently watching a you tube video where Troy Aikman describes his battle with Migraine headaches and how now that he is on the right medication everything is alright (see the video here http://www.youtube.com/watch?v=Y3XMafyMCYM). What is the logical fallacy in that thinking? If you have the right medication everything is okay. Well what does medication do on its most basic level? Is it really better living through chemistry? Let’s a take a look. When drugs (chemicals) are put into the body your body’s chemistry will be altered. We already have a lot of chemicals in there and adding some more will alter the levels. This is the effects of a medication…altered body chemistry. Some of the effects are desired and some are not. This is the difference between desired effects and side or adverse effects. It is like the example of Viagra. It was originally tested as a blood pressure medication. However during the clinical trials the desired effect of lowering blood pressure wasn’t happening…however something was happening to the male participants! After a change in the marketing voilà!!! We now have a new erectile dysfunction medication. The side effect has become the desired effect! There are 13,000 prescription drugs on the market. 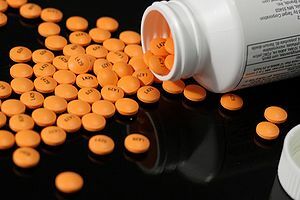 According to a 2009 Congressional Budget Office study, the pharmaceutical industry spends about one-third of its $20 billion direct-to-consumer advertising budget on just 10 drugs. Medicines for erectile dysfunction, depression, cholesterol and high blood pressure tend to get big campaigns. But headache medications also get more than enough money for advertising. 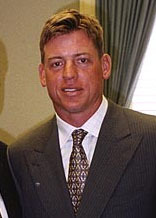 All that marketing has convinced millions of Americans including Troy Aikman that drugs are the answer to symptoms. Now if you just want to get rid of the symptoms and not address the cause, than medicines are good for that. Migraine headaches are not caused by a lack of Imitrex or any other medication in the body, that I can guarantee. Imitrex can with certain people cause many of the symptoms of Migraine headaches to go away, but it does not get to the cause of the headache…regardless of the advertising and marketing. So it comes down to a personal choice. Do you want to cover up the symptoms or find out the cause? If you choose to cover up the symptoms…what happens if a year down the road after your body begins to build up a tolerance, that medication doesn’t work anymore and now you have to take Vicodin or some other narcotic…would you do that ? The medical approach is a way to look at health called the outside in approach. Something is happening to your body and you need to add something to your body in order to change the symptoms. Alter the chemistry. Now there is a different approach, it is called an inside out approach. This approach looks at what you already have inside your body and trusts the design of the body. The first question of this approach is why? Why do I have Migraines? Is it related to my diet, my sleep patterns, my water intake or something else. Could it be that the blood flow from your brain to your body is altered? The veins that drain the brain are not working right and sometimes it is too much for your body to take and you get a massive headache (a migraine)? Now what could cause a change of blood flow from the brain to the body? Research using Phase Contrast MRI looking at the blood vessels from the brain to the body in migraine sufferers is now demonstrating that when a person has a misalignment of the top bone in the neck called the atlas, the blood flow is altered and when the bone is repositioned using a highly precise procedure the blood flow is changed and the Migraine headaches go away. Now this procedure is not manipulation! There is no cracking, popping or twisting of the spine. It is a specialized realigning of the spine using a procedure called NUCCA. NUCCA stands for the National Upper Cervical Chiropractic Association. These special chiropractors are able to visualize this misalignment with a very precise 3 dimensional X-ray series. Based on the measurements from the x-rays the position of the Atlas is determined and then is realigned over time back to as normal as a position as possible. This procedure produces changes in both blood and nerve flow from the brain instantly. So maybe Troy Aikman, a NUCCA doctor could help you. At least you would be addressing the cause and not just covering up the symptoms for the rest of your life. What do Ben Affleck, Troy Aikman and Johnny Damon have in common? 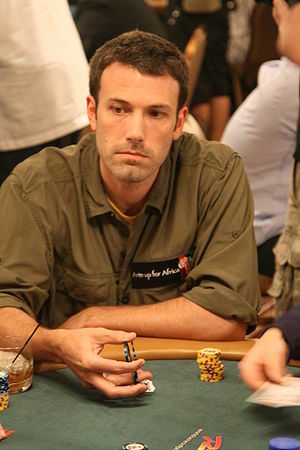 “Ben Affleck Out of Poker Championship due to Migraine” was the headline in the New York Post back in July of this year. We see many athletes, artists, and celebrities getting migraine headaches including NFL giants Terrell Davis and Troy Aikman, tennis great Serena Williams, basketball superstar Kareem Abdul-Jabbar, and baseball stars Jonathon Papelbon and Johnny Damon; actors Ben Affleck and Whoopi Goldberg. Migraines are a debilitating type of headache that literally takes days, weeks, months and years away from many people in our society. For instance, I have a patient right now who gets 2-3 migraines per month. That doesn’t seem that bad maybe to you. But the truth is when the headaches come she is unable to do anything!!! She lays in a dark room until the migraines go away. The migraines last between 1-2 days at a time. So lets say conservatively that she is losing 3 days a month to these migraines. That’s 36 days a year…over a 10 year time period that is a 360 days…one year out of ten is lost to migraines!!! In my office I have seen a 90-95 % success rate with Migraine Headaches being eliminated. The other 5-10% at least see a reduction in the frequency and intensity of these headaches. So why doesn’t Ben Affleck get into a NUCCA doctor’s office and get rid of those migraines? How many games did Terrel Davis miss because of headaches? So why is NUCCA so effective at getting to the underlying cause of headaches? The answer is trauma. Physical trauma…such as car accidents, falls, sports injuries, childhood injuries and more lead to a tearing loose of the connective tissue that holds the spine in place. Which creates a weakness. Once that happens the spine begins to breakdown. It starts in the most movable and vulnerable area, the top of the spine where the skull and the spine come together at the Atlas vertebrae. 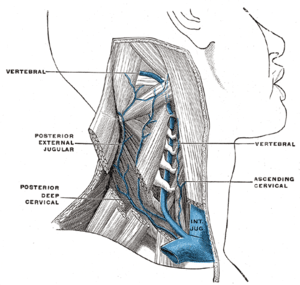 This misaligned upper neck area creates pressure on the brain stem and veins that drain the brain. This is why pressure will begin to build up into the head often leading to headaches. The brain stem irritation explains the nausea, vomiting, light sensitivity, etc that frequently goes along with Migraine headaches. These observations are now being demonstrated in the research as well. A recent case study is showing that after an Atlas correction using the NUCCA procedure, a follow-up Phase Contrast Magnetic Resonance (PC MR) Study demonstrated changes in flow from the jugular veins that leave the brain. 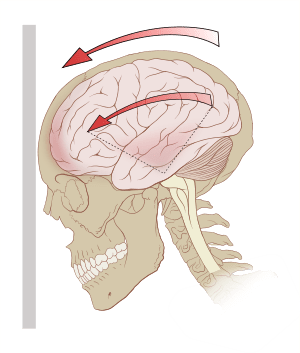 The subject of the case study obtained relief from migraine headache pain consistent to maintenance of his Atlas correction by the end of thirty days. The exam continued to show improvement of the blood flow measured over the 16-week study period consistent to maintenance of Atlas alignment. Additional funding is being sought to do a larger study on Migraines, Atlas misalignments and blood flow changes. So who do you know that is still getting migraines? Does anyone know Whoopi? Johnny? Troy? How about you? Are you losing parts of your life because of the effects of Migraine Headaches? Or do you have them “under control” with medications. At some point covering up the symptoms will lead to other problems. Or those meds won’t work anymore and you will have to get stronger ones. Do you want to find out the cause and eliminate it? If so go to www.nuccawellness.com if you are in the San Diego County Area. If you are anywhere else go to www.nucca.org.